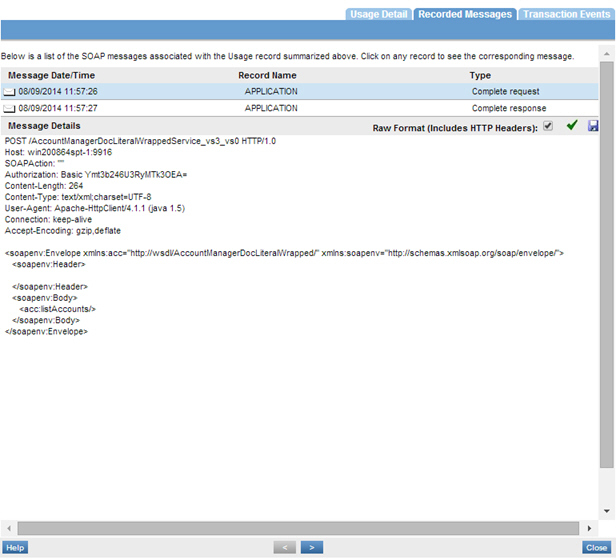 Learn how to use CA-SiteMinder as an application identity. This use case will use the Manage Outbound Identity option to send the CA SiteMinder identity to a downstream service that is enforcing Basic Authentication using the HTTP Security Policy. The consuming application (AccountManagerDocLiteralWrappedService_vs3_vs0) does not have a security policy and will only be used to pass the CA SiteMinder identity to the downstream application (AccountManagerDocLiteralWrappedService_vs3). 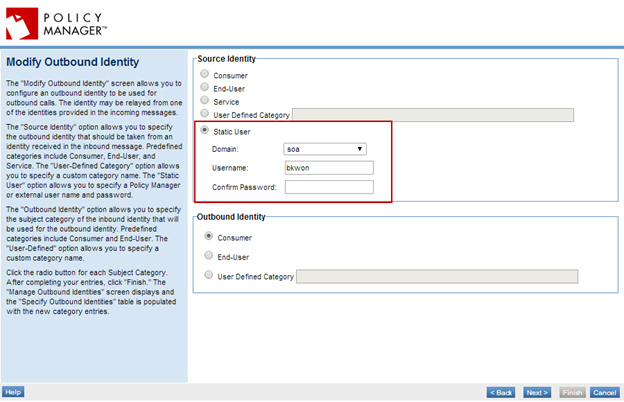 Launch the Policy Manager Management Console. In the Policies folder, use Add Policy to create the following policy configurations. Attach the policies to a virtual service. 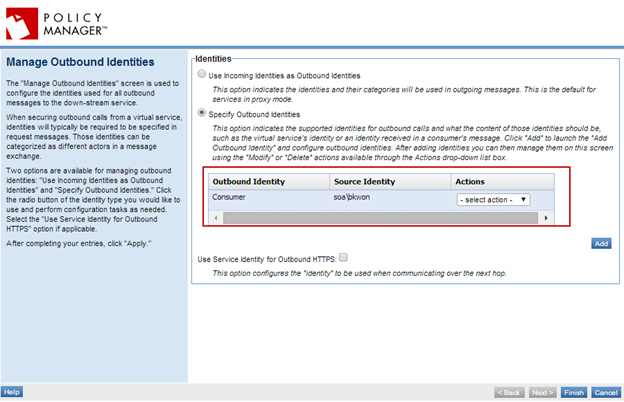 On the Service Details of the virtual service, select Manage Outbound Identities from the Actions Portlet. 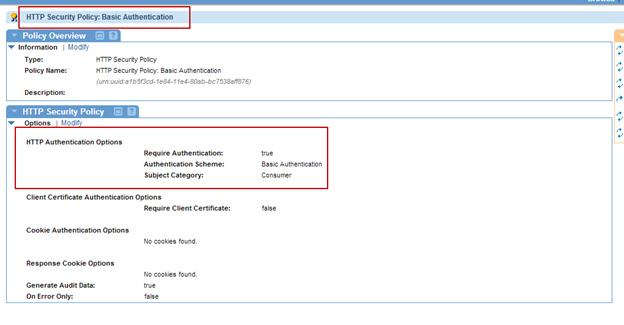 Select Specify Outbound Identities, then click Add and configure the identity as illustrated below. 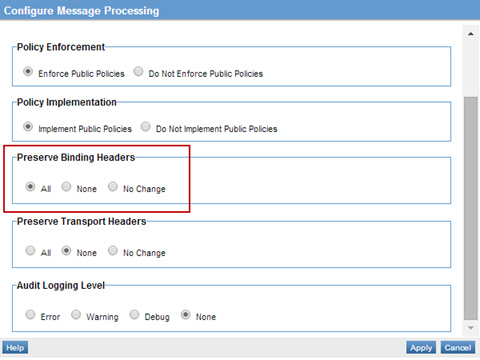 On the Service Details of the virtual service, select Configure Message Processing in the Actions Portlet set "Preserve Binding Headers" to All. 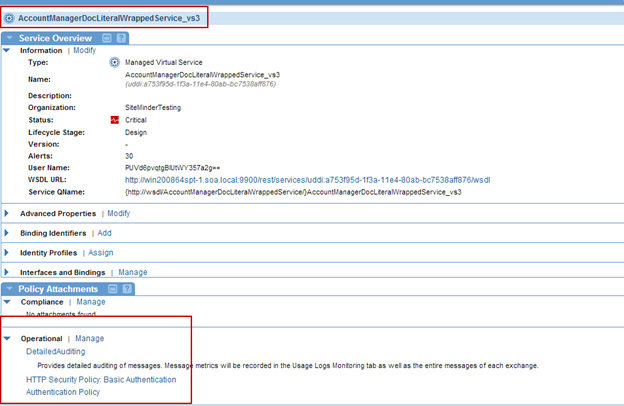 Send requests to the virtual service and the usage data in the Services > Monitoring section.